They are a reddish brown, flattened oval shape about the size of an apple pip and become fatter when they have fed. They are about all year round. Despite their name, they can be found anywhere, particularly where the carpet meets the wall at the head end of the bed or under loose wallpaper. 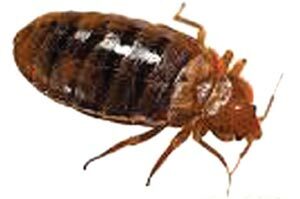 Bedbugs are very hard to get rid of and professional treatment is definitely advisable if you have this problem.